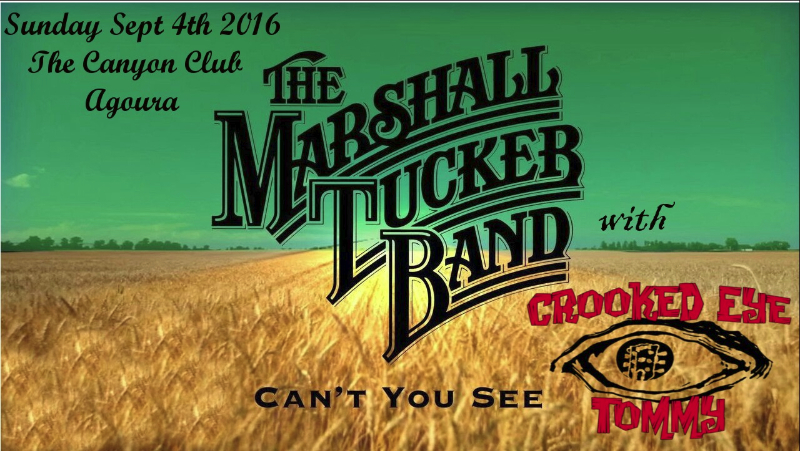 It is with the greatest pleasure that we announce that Crooked Eye Tommy will be opening for the world renowned Southern Rock Band MARSHALL TUCKER BAND on September 4th 2016 at The Canyon Club in Agoura Ca. 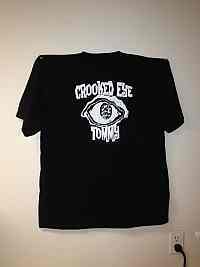 This show means the world to Paddy and I as we grew up listening to this amazing band and cannot wait to perform with them. PLEASE buy these tickets from us to help us meet the requirement the Canyon Club places on opening bands in order to perform. We are selling General Admission Tickets and if you want to upgrade to a dinner ticket please buy the General Admission Ticket from us and then contact the Canyon Club to upgrade to a better seat.